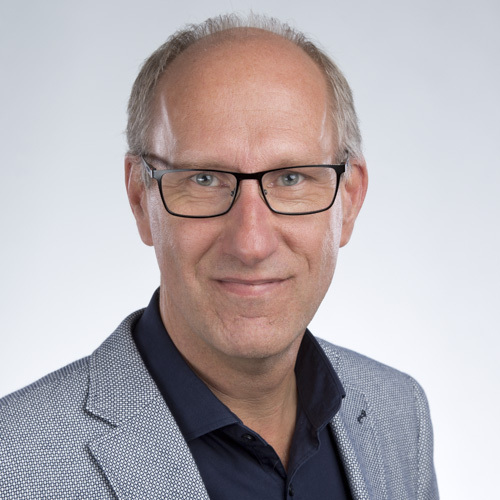 Paul is a Senior Business Intelligence Consultant for JUGO, a highly specialized SAP BI Consultancy company in ‘s-Hertogenbosch in the Netherlands. Paul is active as consultant and trainer in SAP BI and data visualization. In his assignments Paul’s drive is to build solutions that really meet their target, always looking for the best answer for your situation. Supporting you to find the added value for your business, understanding your intentions. Paul is an experienced consultant working in Information Technology over the past 30 years both as Consultant and Trainer. After a traditional IT career in data and information analysis, he started working with SAP Logistics and Business Intelligence in 1998. Since 2015 he is working for JUGO and became inspired by IBCS®. Now he is using these principles is his presentations and developing reports. 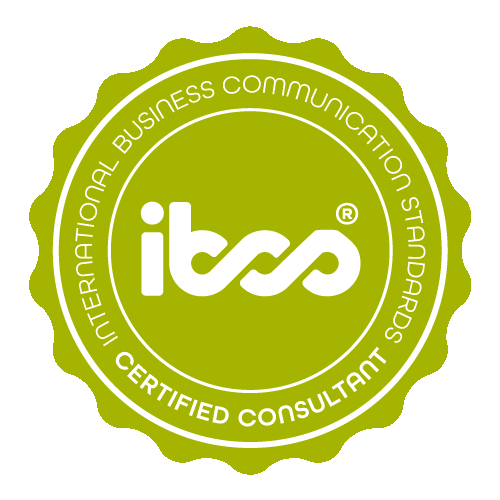 Paul Boekhoorn has successfully completed the IBCS® certification for successful design of reports and presentations at the HICHERT+FAISST IBCS Institute in February 2017. These two reports are based on a real case but with dummy data. 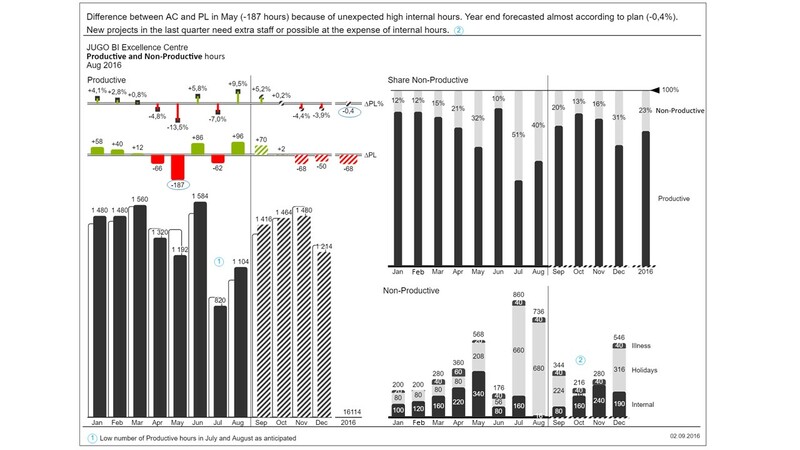 JUGO needs insight into productive and non-productive hours for consultants. We calculate with 8 hours per day potentially to be invoiced. The planning assumes that 80% of the available hours is to be invoiced. Hours are either productive (invoiced) or non-productive (holiday, internal, illness). This example was built with 'Chart-me Web 2.0' and presented in PowerPoint. JUGO needs insight into leave hours of consultancy staff. 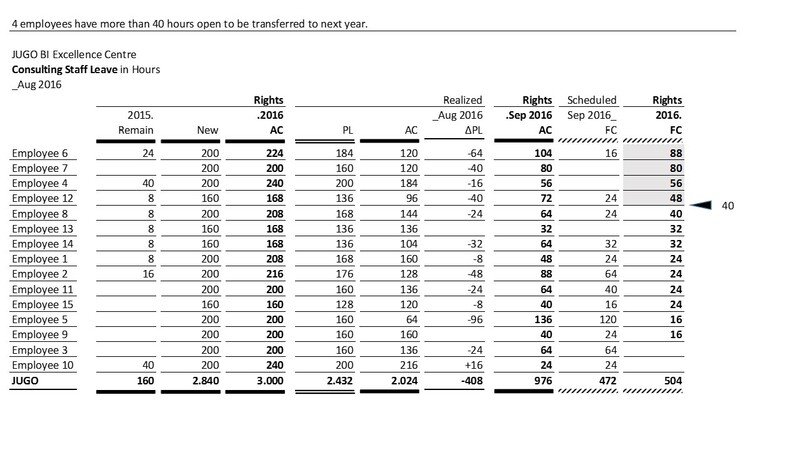 We plan leave hours for the current year (2016) according to realized leave over the past years for budgeting purposes. Staff members are not allowed to have more than 40 hours moved to next year’s leave rights. We ask staff members to plan/schedule their leave where possible. This example was built in Excel and presented in PowerPoint.